This sensitive debut novel about everything that can go wrong as one grows up will touch any reader who remembers being 12 and beset by the world. 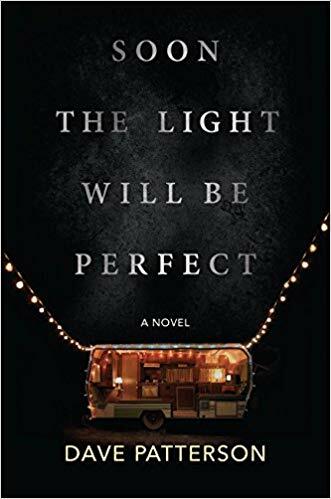 Dave Patterson’s first novel, Soon the Light Will Be Perfect, is a rough-edged coming-of-age story. Set in a poverty-stricken Vermont community at the beginning of “the desert war,” it spotlights a family in crisis within a town in despair. The narrator is a 12-year-old boy. Along with his older brother, father and mother, he remains nameless, although more peripheral characters have proper names. As the story opens, the family has recently moved out of the trailer park–an important social step up–and they have given away their old kitchen table in an act of charity. The father is supposed to be building a new one, but this project serves as a metaphor for larger troubles. Getting the new kitchen table finished and perfect will prove daunting. In the first chapters, the family’s troubles ratchet rapidly from an overpopulation of pet cats to the mother’s cancer diagnosis. The 15-year-old brother gets a girlfriend and distances himself from the narrator, although the boys still smoke weed together in the garage, where the kitchen-table project progresses slowly. This is a devout Catholic family, and guilt plagues the young narrator, whose burgeoning sexual interests, for example, give him trouble. Struggles with faith are central to the book. The father’s work in a weapons factory seems secured by the advent of war, a fact that the narrator has trouble reconciling with Christian teachings. His mother’s suffering at the hands of cancer, chemotherapy and radiation seems senseless. He remains committed to religion, despite these conflicts and his obsession with women’s underwear. A new girl his own age from the trailer park provides further conflicts between what he feels and what he thinks he ought to feel. While Patterson’s gift for description brings beauty to this novel, the tone is bleak. The father labors helplessly: “In the garage the saw screams in the ceremony of my father’s self-destruction.” The sick mother delivers food to those needier than herself but also covers up a small crime, as her younger son sneaks cigarettes and self-flagellates. Amid the narrator’s crisis of faith, even the priest turns away from church. Certain plot turns and characterizations may tend toward cliché, but Patterson’s striking writing and attention to detail rescue his book from that realm. To put it another way, clichés are formed from the broadest truths of life, and Patterson aims to approach those overarching truths–perhaps why his protagonists go unnamed. Soon the Light Will Be Perfect is an ambitious work about what it is to be young and facing problems that challenge the most capable adult. At its end, much remains unresolved, just as in life, but readers will recognize just how true that ending rings. This review originally ran in the March 22, 2019 issue of Shelf Awareness for the Book Trade. To subscribe, click here. Where a failing writer, ill-conceived for-profit education and the American political divide come together, the result is both funny and feeling. 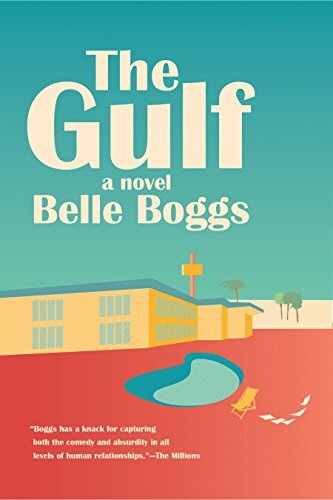 The Gulf by Belle Boggs (The Art of Waiting) is a hilarious, pitiable, thoughtful first novel not to be missed. A rare combination of silliness and poignancy, with momentum and compassion, this is a story for every reader, but especially for struggling writers. Marianne is desperately underemployed and about to lose her apartment in Brooklyn, N.Y., and her poetry manuscript has been long stalled. Eric, her best friend and ex-fiancé, has an annoyingly good job teaching overseas, as he works to complete the second novel in his two-book contract. When he calls from the United Arab Emirates with a business offer, Marianne wants to say no, but she has no other option. Eric has inherited an aging motel on Florida’s Gulf Coast, and wants to realize an old college joke of Marianne’s: a low-residency writing school for Christian writers. Marianne, a liberal atheist, soon finds herself in business with Eric, his venture capitalist brother, Mark, and their silent partner, great-aunt Frances. Ensconced in the crumbling motel with occasional hurricanes passing through, Marianne doesn’t precisely want to fleece the applicants sending in embarrassing manuscripts, but she certainly could use the money. What follows is part hilarity: Marianne and Eric flub their Bible references and flirt with hooking back up; the earnest students have no idea how a writing workshop is supposed to work; and the down-and-out instructors (all the Genesis Inspirational Writing Ranch can attract, or afford) prove eccentrically dysfunctional in various ways. It’s part pathos: as real as Marianne’s struggle to complete her own manuscript is the troubled calling of Janine, poet, home economics teacher, mother of two, who writes about Terri Schiavo. Mark lands a big investor that specializes in for-profit education for the Christian market, but their intervention quickly upsets everyone involved. Marianne finds herself, against all odds, rooting for her students–those right-wing nuts she once laughed at. 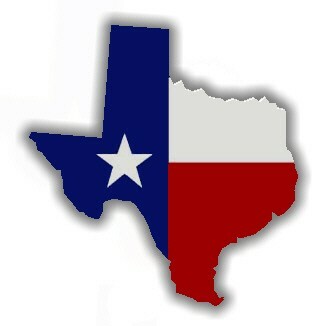 As the biggest storm of the year approaches the ramshackle Ranch, she’ll have to make a stand. Boggs’s gifts are many. The Gulf‘s plot is inspired, even accounting for the arguable overabundance of novels about MFA program shenanigans. Perhaps the greatest genius is in her characters: Marianne, Eric, the writing instructor who can’t remember anyone’s name, the hotelier next door, Janine and the former R&B superstar now banking on an autobiographical novel to make his comeback. Each of these is perfectly developed and flawed just enough to be lovable, if hapless. The book hums along with fitting momentum, so that when the storm hits, the reader is entirely invested in this well-meaning but ill-fated crew. 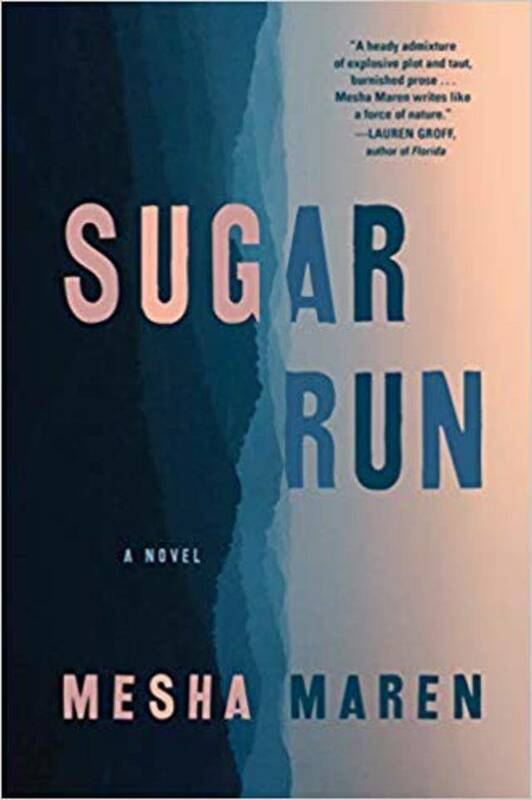 Redemption is a risky ambition, especially with inspirational writing, but Boggs pulls it off with The Gulf‘s denouement. 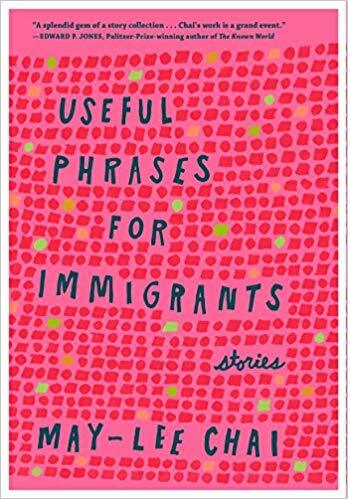 This is a novel of keen comedy, insight and empathy. This review originally ran in the March 8, 2019 issue of Shelf Awareness for the Book Trade. To subscribe, click here. Luisa is 17 and bored with school, her parents and her classmates (nearly all of whom have bodyguards waiting outside their elite Mexico City international school, which Luisa attends on scholarship). Her interests include her best friend Julián, who lives above a restaurant, and his stereo, as well as her French teacher’s encouragements and the books he lends her. And thanks to her professor father’s storytelling, Luisa is fascinated by shipwrecks. Perhaps this is partly why she is so taken in by the newspaper headline: “Ukrainian Dwarfs on the Run.” It is suggested that these escapees from the circus have headed to the beaches of Oaxaca, and for Luisa, they become crossed in her mind with a sort of hidden treasure: something to seek. There is a boy, too. “I didn’t even particularly like him at first; intrigued would be a better word. He was a sliver of black slicing through the so-called calm of the morning.” Tomás Román: even the syllables of his name have power. “He had been a snag in the composition, somehow inserting himself in the picture in a way the others had not.” Luisa has trouble understanding his pull on her, but as it resembles the pull of the Ukrainian dwarfs at the beach, she follows the impulse, and boards a bus with Tomás for the coast. As Luisa dreams away her days in a little village called Zipolite, a community of hippies, nudists and beachcombers, her father searches for her. And he will have some of the best stories to tell by the end of this weird, captivating novel. Aridjis’s prose is well suited to this kind of story: her sentences are luminescent and imagistic, expressing Luisa’s tendency to fancy: a great marble horse “[chooses] the sea, and was there to this day, the horse that gave them the slip, galloping along endless banks of seabed, kicking up whole paragraphs of sand.” The plot of Sea Monsters is somewhat quiet, Luisa spending much of her time inside her own head, but Aridjis’s style makes this an absolute pleasure even when nothing is happening. This review originally ran in the January 3, 2019 issue of Shelf Awareness for the Book Trade. To subscribe, click here. This surreal, riverine, gender-bending retelling of Oedipus Rex will fascinate and fire the imagination. Shortlisted for the 2018 Man Booker Prize, Everything Under is a dreamy, twisty-turning tale set in modern Oxford but calling on mythology and upturning societal norms. 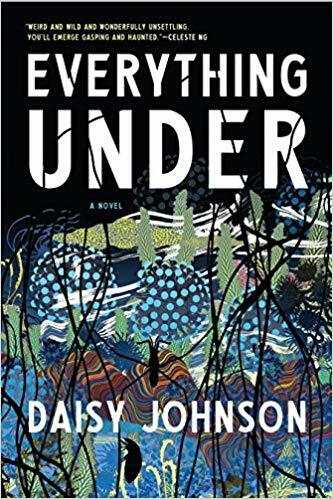 Daisy Johnson’s first novel (following the story collection Fen) requires its readers to wonder and follow along for a while before its connections begin to form, but the payoff for that patience is well rewarded. “The places we are born come back.” At the novel’s opening, Gretel is a lexicographer who mostly keeps to herself, caught up in her mysterious past: “I’d always understood that the past did not die just because we wanted it to.” She lives in a remote cottage with her mother, Sarah, whom she has recently found and brought home. Then time shifts, and for much of the book the reader sees Gretel’s unusual childhood, and the long stretch of adulthood during which she searched for her missing mother. Gretel grows up living with Sarah on a river, in a houseboat that never moves. They forage for food and remain apart from society: “River people aren’t like other people. You won’t see the police down here.” They make up their own language, words that make sense only to them. It is a watery world of shifting gender identities and slippery, changing rules. Gretel is shaped by self-sufficiency, words, fluidity and a fear: something under the water called the Bonak. When she is 16, her mother disappears, leaving Gretel to take care of herself. In the flashback chapters, an enigmatic third character appears. “What happened to Marcus?” Gretel asks her mother, in the later timeline when they live together again, the older woman having lost her memory and the words that mattered so much. But it takes many more pages to reveal who Marcus is. Many chapters are named for settings: repeatedly, “The River,” where Gretel grew up; “The Cottage,” where she lives as an adult; and “The Hunt,” when she was actively searching for Sarah. In those chapters on “The Hunt,” Gretel explores the countryside near the river, visiting a couple who lost their teenaged daughter years ago. She meets a failed prophetess, collects a stray dog and excavates her memories. This action is every bit as wandering, confused, seeking and amnesiac as Gretel herself. 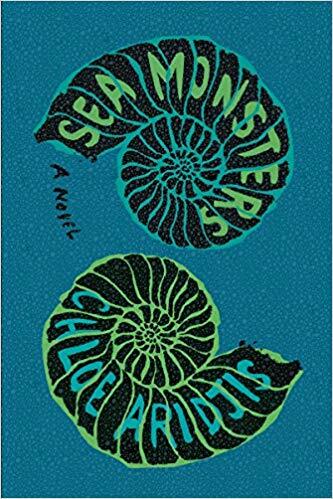 This is a complex plot with profound themes: a monster under the water, the shape of fear itself; the importance of language; the death grip of the past; fate versus free will; flexible gender identities; unanswered questions. Everything Under remakes the ancient Greek myth of Oedipus, with its prophecy that will be fulfilled, no matter how strangely it must twist. Johnson’s singular, hallucinatory storytelling is well up to her book’s ambitious form. The result is spellbinding. This review originally ran in the October 29, 2018 issue of Shelf Awareness for the Book Trade. To subscribe, click here. Rating: 7 rolls of cling wrap. A reclusive young widow in the wintry mountains of Pennsylvania and a mysterious stranger from Uzbekistan guard the secrets of their pasts in a present that is still filled with danger. Kathleen works in a small store at the edge of a state park in Pennsylvania’s Blue Ridge Mountains, frying burgers and onion rings for hikers and hunters, keeping to herself. She was widowed at 22 by a car wreck that left her badly injured, but she insists that she does not have a limp. She wants only to be left alone. But then a stranger appears out of the harsh snow of mountain winter, wearing dress shoes and a disarming expression; his native country is Uzbekistan, and he gives no good reason why he should be lurking out-of-season at the hostel next to Kathleen’s store. Despite her instincts, she indulges him with conversation and, eventually, a cautious friendship. Sarah St. Vincent’s first novel, Ways to Hide in Winter, tells the story of these two people, each skittish in their own way, as they avert their eyes from the past. Kathleen keeps her world small: she cares for her grandmother, occasionally visits with an old school friend, warily guards a bad habit or two. The stranger–who has a name, but it’s rarely used; Kathleen calls him simply “the stranger”–speaks haltingly of a family and career back home, but there is clearly more that he’s not telling. This is a story of secrets. 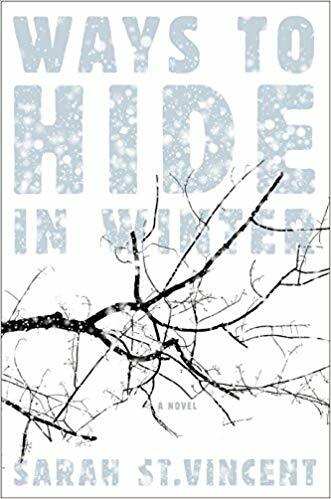 Ways to Hide in Winter is told in Kathleen’s first-person perspective, so that the reader discovers the stranger’s secrets as Kathleen does herself; her own are as carefully doled out. It gradually becomes clear that Kathleen is protecting even herself from a past trauma. The stranger confesses to a crime committed back home, but this confession may not be what it seems. As the action of this gripping novel unfolds, then, the mystery of two personal histories races against the present: What will be revealed, and will it be in time to save the protagonists? This novel of suspense has many strengths. Kathleen offers depths of emotional truth and texture. Other characters are portrayed at a certain remove, according to the narrator’s personality, but they open up by turns as she experiences them. Kathleen is thoughtful, as when she considers the morality of the U.S. military presence in Iraq and Afghanistan, and wonders about Uzbekistan. The setting in rural Pennsylvania mountains is harshly beautiful and handsomely evoked. And, warning: this is a book to keep one up late into the night, its considerable momentum pulling the reader toward its finale. Ways to Hide in Winter is an impressive, compelling first novel, with characters that will be missed after its conclusion. This review originally ran in the October 9, 2018 issue of Shelf Awareness for the Book Trade. To subscribe, click here.